The recent Conquest Imaging-sponsored webinar “Why Do Ultrasound Probes Cost So Much?” was well attended and received positive reviews. Also, participants in the live webinar were eligible for 1 CE credit from the ACI. In the 60-minute webinar Bob Broschart, senior director of technical operations at Conquest Imaging, educated attendees regarding the high cost of ultrasound probes and how they can protect themselves and their organizations from these costs. The webinar attracted 196 attendees and earned a 3.9 rating. “I enjoy most webinars that TechNation hosts but this session was particularly informative and relevant to my work. 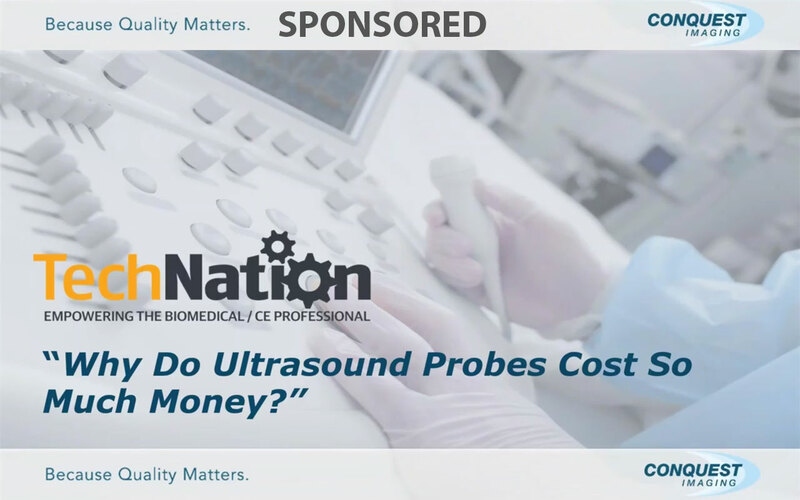 I appreciate the fact that the questions I sometimes muse over can finally be answered, especially the all-to-obvious query of ‘Why does it cost so much for ultrasound probe repair?’ that seems to always blindside us at the most inconvenient of times. Now I know,” Biomed D. Mishchuk said. “This Webinar Wednesday was a great in-depth look into how the transducers we work with everyday are designed, constructed and why it costs so much to make/repair them. As usual, the presenter was very knowledgeable on the subject with background experience on several different sides of healthcare technology management. We can’t wait for another great Webinar Wednesday,” said Image Specialist R. Marek. “Great information on how ultrasound probes are manufactured,” Manager of Clinical Engineering P. Brown said. “The webinar provided valuable information which I can apply in my current role. Thank you so much,” said Biomedical Service & Support Manager G. Myers. “I learned a lot today about ultrasound probes. I didn’t know they were handmade and all of the work that went into them,” said S. Shamsi, CBET. “Very convenient to receive in-depth training at my jobsite. I hope that I can pass on this information to nursing staff,” Biomed Engineer M. Brunemeier said. “Webinar Wednesday is a great way to bring your department together after lunch to gain knowledge and wind down,” Corporate Director of Clinical Engineering B. Gould said. “The topics discussed in the Webinar Wednesday sessions are always well done, informative and useful,” Imaging Manager D. Parker said. “I am grateful for the training facilitated by the TechNation team, you guys provide us with a great source for keeping current with changes in technology,” said Equipment Specialist L. Mezquia. “This is the best way to stay on top of the industry’s ever-changing pieces. 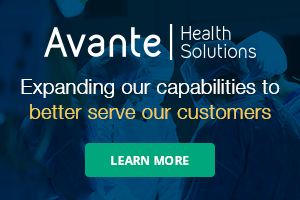 If you want to stay in the loop get on the webinars,” said Senior Biomed Engineer G. Haungs. “I enjoy the convenience of having a training delivered to my computer regularly. If it’s a topic I’m interested in it’s a welcome education to keep up with the fast-changing technology,” M. Lubliner, sales director, said. “This is the best source for CE credits I have found! Webinar Wednesday helps keep me current and provides new knowledge,” said K. Walker, Advanced Imaging Service Engineer. For information about future webinars and recordings of previous webinars, click on the Webinars tab above.